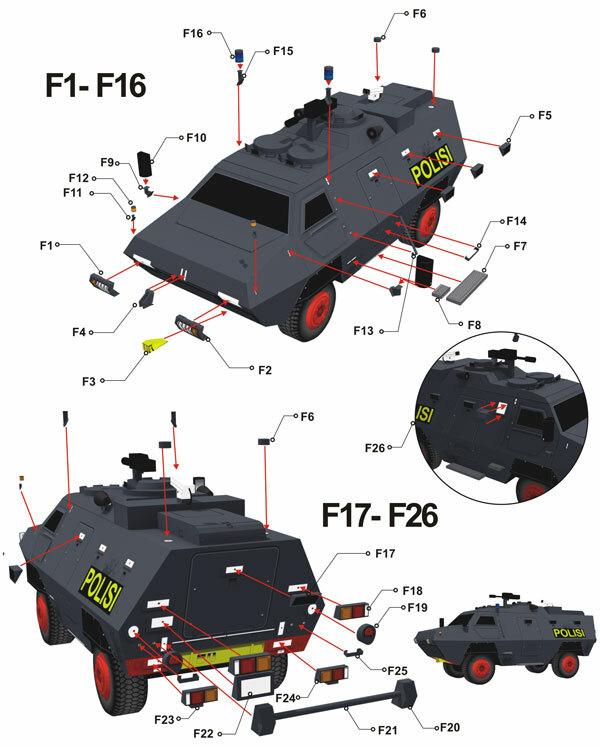 My first APC paper model (2007). This was a commercial model but now I'm giving it for free. 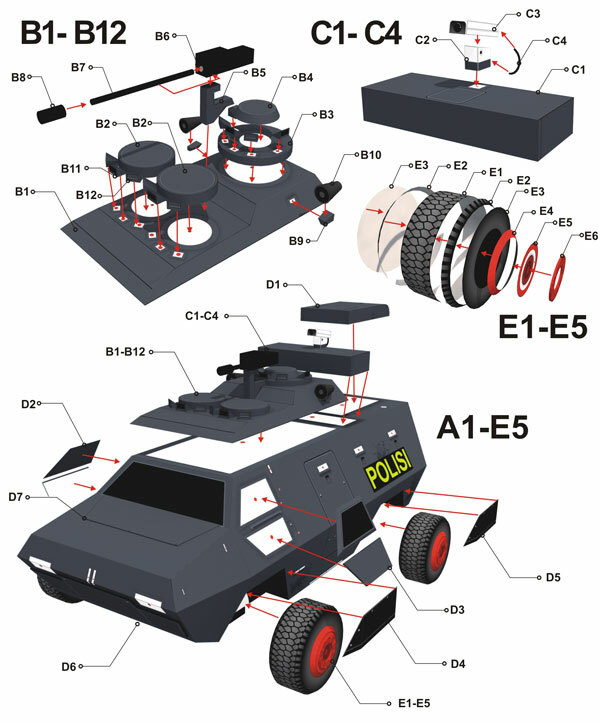 This multi-role armoured wheeled vehicle, Barracuda is suitable for APC and reconnaissance, internal security performance. Manufactured as wheel type, it's capable of driving vehicle over 100km/h speed on the road performing duties even though off-road. 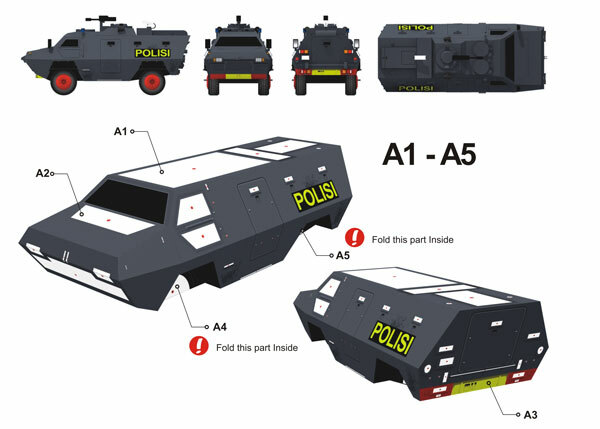 The real world vehicle belongs to Brigade Mobil in Indonesian Police Force. Brigade Mobil is a special detachment, similar to SWAT Unit in United States.